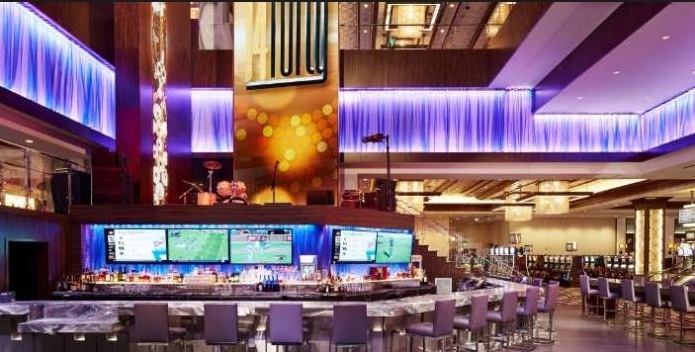 There’s little mystery and less surprise about Monday’s announcement that Caesars Entertainment, one of this nation’s largest casino operators, is taking an equity position in the leading Daily Fantasy Sports (DFS) company, DraftKings. While lacking an aggressive profile in Nevada in recent years, the company already has a major foothold in numerous states where sports betting legislation has crossed or is nearing the finish line. Because Caesars already has licensed brick-and-mortar casinos, theoretically they might be able to start taking sports wagers as quickly as anyone else. However, the company lacks the online sports profile many competitors have and the recent financial difficulties the company has experienced would certainly stop them from allowing any serious financial exposure when it comes to sports betting. The company, although very different than it was when it stood for luxury on the Las Vegas Strip, has name recognition, a brand name if you will, that is unmatched nationally. The extensive database of customers and the recent appointment of a sportsbook director by DraftKings is a move toward becoming a major player. However, without any physical locations, it will be hard for online only companies to win this race. As individual states set up sports betting rules, many are looking to begin licensure through brick-and-mortar properties, allowing mobile components to flow through those establishments and their partners. The two major DFS companies would need a partner such as a casino company or a racetrack to gain traction. Monday’s announcement reveals the formula likely intended to be a first step blending Caesars and DraftKings gambling offerings into a single product. As with most partnerships of this kind, each company has something crucial that the other partner covets. That’s the real motivation behind any business arrangement of this type. DraftKings requires market access that Caesars can provide in the large number of states in which Caesars operates. For now, DraftKings is avoiding any true brick-and-mortar presence solely on its own and the myriad of expenses that go with that kind of operation. It does have a deal to operate a physical sports book in a lone Mississippi Gulf Coast casino — Scarlet Pearl on the Gulf Coast in D’Iberville, Mississippi There’s also a DraftKings-branded sportsbook in New Jersey, and online only markets in West Virginia as a component of a deal with Penn National. But, the company’s focus seems to remain in cyberspace. Caesars now gains access to DraftKings’ database that includes an estimated 10 million e-mail addresses, to which it can can now market directly in hopes the users has some gambling and entertainment interests beyond sports betting. The goal is seen as acquiring new customers for its other gambling activities and its casino/resorts. 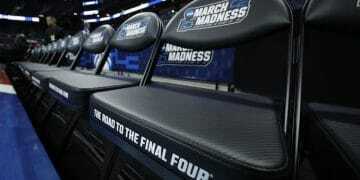 Expect to see a joint effort in new states that pass legislation allowing mobile sports betting. Expect to see an all-in-one app and website offering online casino gambling to go along with sports betting. Expect to see a “one-wallet” configuration that allows players to use monies from a single wagering account to enjoy any casino experience of choice. Both Caesars and DraftKings have been big spenders in past months forging deals with the major U.S. sports leagues to achieve branding prominence and increased market share. 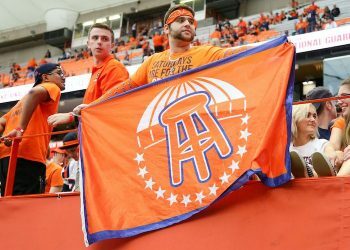 No financial terms of the newly divulged arrangement were shared, except that Las Vegas-based Caesars, pending regulatory approval where necessary, becomes an equity stakeholder in Massachusetts-based DraftKings. What is known is that Caesars will allow DraftKings exclusive market access for the company’s online gaming products in the 13 states where Caesars operates nearly 40 casino properties. DraftKings’ impetus for such deal is readily apparent in these two examples. The company briefly offered a Kentucky Derby future book wager in Mississippi. This is a fixed-odds wager similar to a sports bet. If a horse doesn’t make the race, the bettor still loses. But Churchill Downs, owner of the race, stopped the bet quickly because no pari-mutuel betting on horse racing is being offered at DraftKings’ Mississippi location. That problem quickly may disappear when the new partnership becomes effective because Caesars operates pari-mutuel horse wagering in several states and additionally owns racetracks in various states including Pennsylvania, Indiana and Louisiana — now or soon forecast to be sports betting hotspots. Another benefit for DraftKings could be Nevada access. If it’s not part of this deal, it’s likely to become a vital element, in the future. The DFS kingpin cannot currently operate on any mobile platform in Nevada without a physical presence in the Silver State and a license to do it. Nevada, for now the nation’s capital for sports betting, may now become a DraftKings state where bettors can access DK’s betting markets. That would include fantasy sports betting. Although DraftKings would still have to be licensed in Nevada under state gaming regulations and its software tested, it would seem this could be easier as part of Caesars. DraftKings left the state in 2015 when the Gaming Control Board demanded that fantasy operators apply for a sports pool license. In New Jersey, DraftKings began offering online sports betting operation in partnership Resorts Atlantic City. It’s led the state in mobile sports revenue every month since, according to state figures. A large majority — about 80 percent — of all sports betting in New Jersey was done remotely according to January figures, a proportion that increased every month since legal sports betting began in the Garden State in mid-June of 2018. 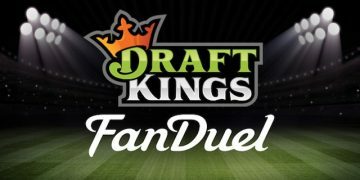 For additional nuts and bolts of the DraftKings/Caesars deal click here.